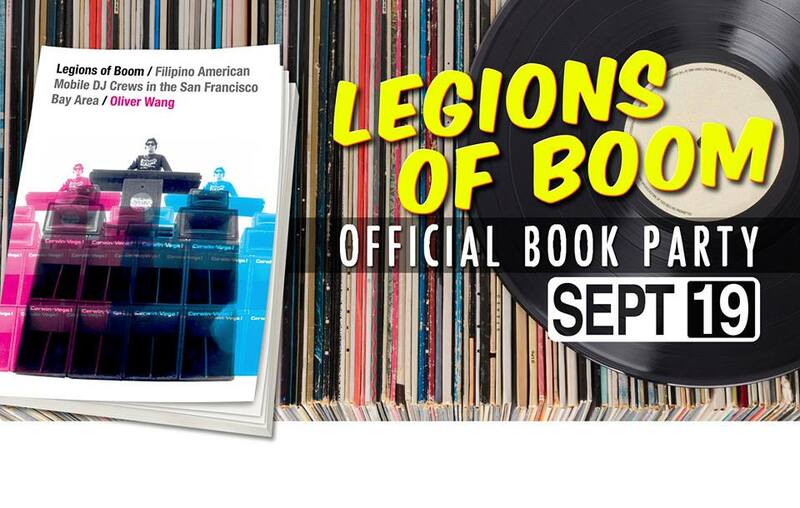 Oliver Wang’s new book Legions of Boom: Filipino American Mobile DJ Crews in the San Francisco Bay Area, dropped recently, looking at the history of an influential yet largely forgotten music and party scene from the 1970s-90s. As someone who was a high school student in the Bay during that time I really enjoyed the book—my older sister regularly attended Chinese American parties in the 70s and 80s that ran on a track parallel to the Filipino American scene and as an underage kid I snuck into the legendary Studio West disco after hours, not unlike some of the folks discussed in the book. So just on nostalgia alone the book appealed to me. But nostalgia aside, Legions of Boom is notable for several other reasons. Wang does a great job analyzing the mobile DJ scene in relation to Filipino American immigration and demographics, as well as exploring the importance of sociological elements, such as the ubiquity of the Filipino American garage party, on the development of the scene. 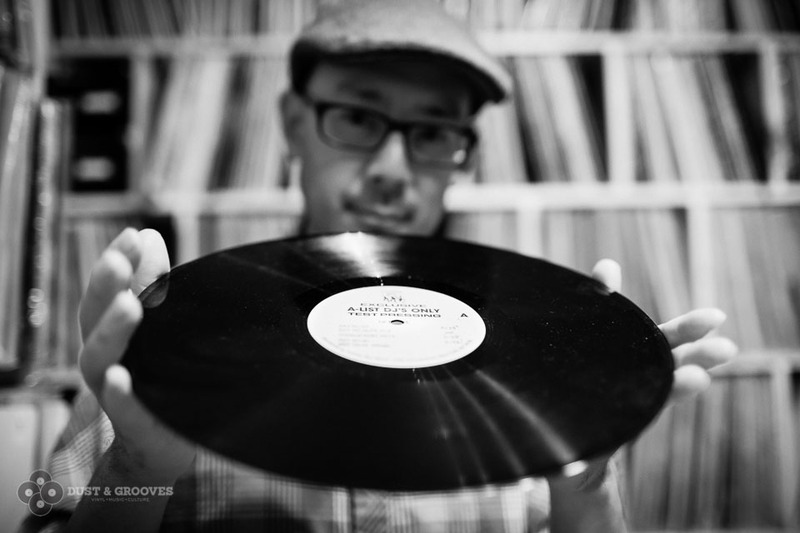 Wang also explains the critical importance of the introduction of beat-matching in the DJ scene, which led to DJs being able to more effectively control the mood and tempo of the dance floor. Wang also looks at the influence of gender roles in the Filipino American community on the mobile scene. For instance, he points out that many Filipino families from the East Bay suburbs didn’t allow their teenage daughters to go to parties across the Bay Bridge, a simple yet significant proscription that might have contributed to the lack of female participation in most mobile DJ crews. All in all, the book is a detailed and thoughtful look at the roots and outcomes of the mobile scene. I had a chance to talk with Oliver Wang about the book in advance of its upcoming book release party in Oakland on Sept. 19. BA: So as you know I really enjoyed this book for several reasons, not the least being that I’m a native of the Bay of a certain age. Can you talk about the genesis of the book from your perspective? As I had the opportunity to interview them for stories and what not, the common “origin” story they all told was that before they got involved in scratch DJing, they were all members of different mobile crews. That’s how I first learned that the mobile scene ever existed and while there was a lot being written about scratch DJs, there was almost nothing being written about the mobile DJs. As a journalist and scholar, the fact that this seemed underreported gave me the idea to dig deeper. BA: When you talked to Qbert et al were they surprised when you said you’d never heard of the mobile DJ scene or had it faded from a lot of people’s minds by then? OW: The scene never had a formal “end”…it just faded away over the course of the early 1990s as many crews simply ceased to exist and more nightclubs were hiring DJs vs. crews throwing parties. BA: I think you talk about that demise pretty extensively in the book, as well as the rise of the scratch scene, which you discuss in an interesting way. I like that you break it down as the mobile crews being more collective while the turntablists tended to be more individualistic, if I can put a very reductionist spin on it. Can you talk a bit more about what you think this says about celebrity culture in the US? OW: Hmm…I wouldn’t frame it in that way (but that shouldn’t stop anyone from making that argument if they’re so inclined). Scratch crews were more collective partially because the reason a crew formed was largely informed by the need for labor in helping to move and setup equipment. Obviously, the fulfilled other needs, especially social, but at the core, the DJ group/crew existed in the mobile years because they provided a necessary service to DJs. Once nightclubs and radio stations began poaching individual DJs, the need for labor disappeared since those venues already have equipment. Now, all a DJ needed to tote was a few crates of records – if that – and they didn’t have to split the DJ fee five different ways or whatever else. So I do think the crews were victims of their own success insofar as the more prominent they were as crews meant that their DJs were also more likely to get poached away, thereby reducing the need for the crew itself to still exist. I suppose there’s some aspect of celebrity culture there – most crews didn’t have room for more than 2 or 3 DJs to be in rotation which meant that everyone else was in a support role and therefore not the center of attention. Scratch DJing, I think, was partially appealing because in a scratch crew, everyone can be a DJ and shine on their own. But to be clear, there’s many reasons why the scene faded; we’re just mentioning a couple here. BA: Which is why folks need to read your book! Anyways, on a slightly different subject, you mentioned that you were also a journalist as well as a scholar. The book is really a good read not only for the info it contains but for the ease of understanding complex subjects and old fashioned “good” writing. How did your extensive journalistic work inform the creation of the book? OW: I think I tend to approach researching a story vs. academic research the same insofar as if I’m trying to interview people, I apply the same basic skill-sets regardless of what the final purpose is for. So I don’t think I interview anyone “as a journalist” vs. “ as a researcher.” In my mind, I’m just interviewing someone. Where the influence comes in is around the writing. I want to create some kind of narrative. I definitely want my writing to be legible to scholars but also to a broader public and that was certainly something that, as a journalist, was very important to me. OW: I think what’s interesting is that we’re in the midst of a time where the idea of who/what being a “public intellectual” is being constantly negotiated and transformed. Partially, I think that’s because the language and ideas of critical theory, especially around race, gender, sexuality, etc., have crossed out of the academy and are now part of the lexicon for people who may not be academics in profession but are conversant in the language regardless. And meanwhile, you have a generation of young scholars who want a greater presence in the public sphere so they write op-eds or they appear on talk shows while publications like the Chronicle of Higher Education or personal blogs and the like facilitate the blurring of those borders. On the one hand, it feels comforting – as someone who has always straddled both worlds – to see others who move comfortably between them. But it’s also accompanied by a general increase in volume, by which I mean both the amount of discourse we’re exposed to as well as the figurative loudness of it all. It’s important and necessary to have more voices out there but that also leads to much of it blending into static and the ability to filter through all that noise becomes a daily challenge, especially when you spend enough time on social media. Scholars and journalists alike seem constantly seduced by “hot take” culture. I’m probably guilty of that myself though. BA: So the question being begged is, do you consider yourself a public intellectual? Or would you want to be considered as such? OW: I always thought that “public intellectual” was a label that others described you as but not something you either aspire to or self-describe as…unless you want to be seen as pretentious and gassed up on yourself. I had a colleague once describe me as “a writer who teaches” and that felt about right; I’m 100% ok with that particular label. BA: So when you were writing for music pubs back in the day did you envision yourself a prof or the author of an academic book about DJing? Or has that evolved over the years? I’m asking since I know a lot of younger folks think that their destinies are carved in stone when they are 21 and sometimes don’t realize the changes that occur on a regular basis throughout a career or a life. OW: No. When I applied to graduate school, I’m almost certain I didn’t put anything in my application about studying popular culture – let alone music. I think I wrote something vague about “identity formation” or the like but back then, I tended to compartmentalize my various interests – writing, DJing, scholarship – rather than seeing them as related parts of a greater whole. Part of it was that Asian American Studies then (and now, to a lesser extent) didn’t seem to strongly embrace the study of popular culture. My work always felt marginal from the “center” of the discipline, especially when I started to go to the annual conferences and I could literally count the number of papers on Asian American music on a single hand. It’s gotten (somewhat) better but I’m still amazed (and not in a good way) at how relatively little pop culture scholarship exists within Asian American Studies in comparison to African American or Latino Studies. It’s insane to me that in 2015, no one’s written a book about Asian American car culture! My father-in-law is a sansei from L.A. and he and his buddies were modifying and racing cars back in the 1950s and ‘60s and I grew up during the Asian import scene of the 1990s that helped give birth to some of what you see in the Fast and Furious franchise. At some point, I hope someone writes a book about Asian American dance crews. Or garage bands. Or Youtube videomakers. Or…you get the idea. A friend once joked there’s more books about Asian American literature than there are Asian Americans writing literature. I get how that works – certain cultural forms are embraced and given legitimacy in the academy vs. others and as someone else pointed out to me, if you’re Asian American and really interested in popular culture, you’re more likely to pursue that interest by making culture vs. studying it. But still, there’s so much work to be done around how Asian Americans engage with popular culture. Maybe my daughter’s generation will be the one who finally brings balance to The Force. That’s funny b/c I was going to ask you if and how your training in Ethnic Studies and AA Studies informed your work. OW: My grounding in ES and AAS certainly informed how I thought about race, identity, community, etc. but when it came to thinking about applying those theories and ideas to popular culture, it was largely scholars outside of AAS who I turned to, whether George Lipsitz or Robin Kelley or bell hooks, etc. I owe big thanks to Deborah Wong because the fact that she was studying Asian American popular music had a huge impact in knowing that such a thing was possible and “legitimate.” And Michael Omi, who was my advisor in grad school, was always supportive of my interests even if his own background wasn’t in pop culture studies. I also think if I didn’t have an outlet for those ideas – as a cultural journalist/critic – I might have felt more alienated in graduate school as a result but one of the benefits in being invested in both activities was that each served, in a way, as a release valve from the pressures of the other. OW: Ha, something like that. One of the best pieces of advice I ever got about being an academic came from Elaine Kim who told me, early in my graduate school days, that when she was in grad school, she a young single mom and that it kept her grounded in a healthy reality outside of the academy. I always took that to heart: be committed to your work but don’t make it your sole world and nearly 20 years later, I still try to follow that adivce. It helps to have other responsibilities in life to distract you from your primary obsessions. BA: Getting back to the book, your subject matter is from the late 20th century–what’s it’s relevance now to the Fil Am and As Am community? Does the mobile DJ scene still live on? OW: There are still mobile DJs out there, no question (including a handful of crews that have survived since the 1980s) but the scene doesn’t exist any more; it hasn’t for about 20 years. The “relevance” question is hard to answer for me because I never set out to study it with the idea that I had to prove its relevance to the current day. To me, the fact that it was this important phenomenon that few people outside of the scene knew about…that was reason enough to write a book about it. I’ll leave it to others to discuss how they see that history fitting into the current day but for me, the main takeaway is that young people can and will create remarkable things if given the right incentives and support. BA: Since the book dropped a few months ago what has the reception been like, among scholars, people from the mobile DJ scene, the general public, etc? OW: It’s been good! My favorite part is that at all the readings/events I’ve done, there’s been respondents who’ve come through and I’ve invited them to talk about their experiences directly to the audience. To me, that just makes sense: my primary sources are literally in the room. The one thing that amuses me though is how so many people think my book is about Filipinos and hip-hop when I even say, in the book, explicitly, “this is not a book about Filipinos and hip-hop.” But as I also write in there, the reason people make that conflation is largely because Filipino Americans became such a vital part of hip-hop culture, they just assume the two things go hand-in-hand. That’s partially a legacy of the mobile scene. BA: How has that been for you to see the response to your years of research and writing? OW: I wish I could have gotten it out sooner but that’s a common academic’s lament. What’s been great to see is that I’ve heard of at least 3-4 different parties interested in creating a documentary around parts of this history. My hope has always been that if the book has any impact, it’s to encourage more people to explore all the aspects of this scene I wasn’t able to cover. Legions of Boom was never intended to be a comprehensive history. It’s an introduction at best but there’s so much more to that community and its scene to explore and document. BA: Who’s organizing the book party and will some of the folks from the book be spinning? And will you take a turn? OW: Francisco Pardorla, who helped lead the Images crew out of Union City/Fremont and was one of the main people behind the successful AA Productions (arguably the second biggest promoter in the scene behind Imagine), is throwing the “official” Bay Area book release party. He’s bringing out all manners of O.G. DJs from the scene. I don’t know if I’ll take a turn or not – I wasn’t spinning in the ‘80s! It’s just an honor to be in the company of the greats. BA: And what kind of crowd do you think will show up? It’s going to be a lot of the OGs from the scene plus their family. Should be a fun reunion night in that regard. Entry filed under: asian american books, filipino american mobile DJs, legions of boom, oliver wang. Tags: asian american books, filipino american mobile DJs, legions of boom, oliver wang.